Shopping for Kingdom Hearts Key Chains? Let the epic Disney and Square-Enix video game Kingdom Hearts help keep your keys safe! 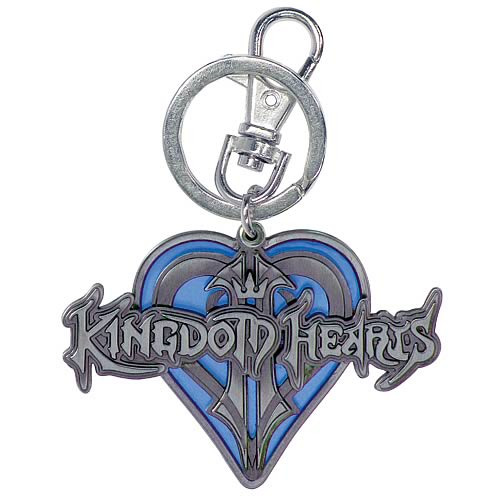 This excellent Kingdom Hearts Logo Pewter Key Chain features the iconic logo from Kingdom Hearts formed out of pewter, with the heart colored blue. It's a great item for any fan of the Kingdom Hearts games! Ages 3 and up.